Too many small business owners are STILL not taking the internet seriously enough when it comes to showcasing and marketing their business online. We still come across websites that look like they’ve been around since the dark ages and there are no signs of them being redeveloped or redesigned in any way. There are so many business owners driving around with gorgeous sign written vans advertising website addresses that lead to the most ridiculous representation of the business you could ever imagine, these websites ultimately create a negative effect on the business they are representing, your website is now, in many cases, your businesses opportunity to make a great first impression but by neglecting it like so many business owners do you are simply and bluntly driving potential customers to your competitors! 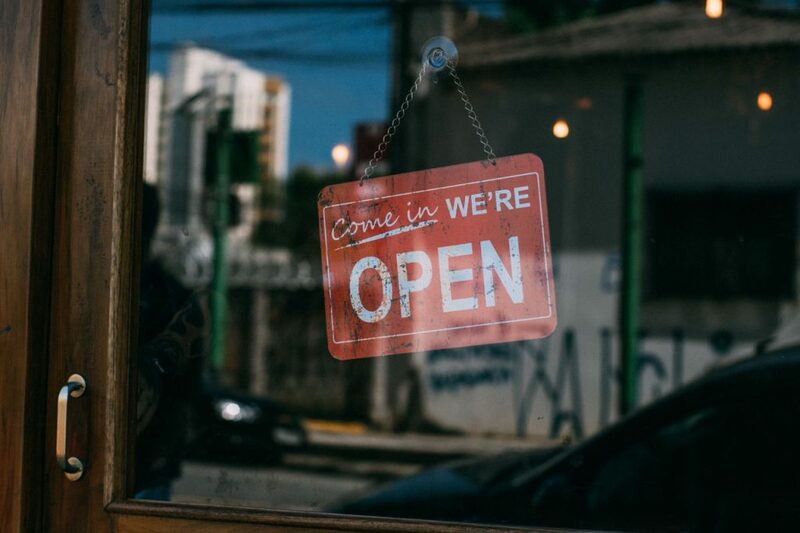 Here we talk about 5 reasons why your business should have a website and why it should be your businesses main piece of internet real estate. Your business website really is your number one marketing tool, we live in a digital age and people spend on average 24 hours a week on the internet, in fact, statistics show that we are on our mobile devices for around five hours every day. In 2018, consumers expect a business to have an online presence and this starts with a website and these consumers consider a company that hasn’t got a website or online presence as less professional. A massive benefit of having a website for your small business is so you can place yourself where your customers are. The reason business owners invest in a website and in many cases, search engine optimisation otherwise known as SEO is because approx 90% of online experiences start with a visit to a search engine such as Google or Bing, in fact there are approximately 3.5 billion searches on Google each and every day, right now, there will be someone in your area on the internet searching for your services and products or even specifically your business and if you aren’t there, or aren’t there properly then maybe your competitor is. It’s a simple fact that by not having a website potential customers will trust you less. 50% of people claim that the way a website is designed is THE thing that helps determine the credibility of ANY business and people are much more likely to do business with companies they trust, and no matter what anyone may think, a website is the number one place they will look for credibility, awards and customer reviews. A proper website, optimised and marketed properly will allow you to compete with the giants in your industry, when it comes to the internet it’s about whos doing things best, who is providing ‘searchers’ with the most relevant information available and by doing things correctly you can trump bigger players in your local area, in fact, many people prefer to use a more local business providing a more customer-focused service, you just need to be there in the first place. 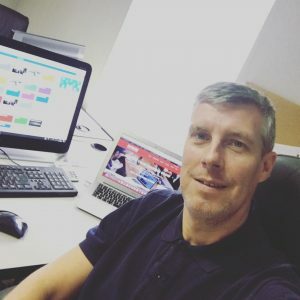 Business owners often think they don’t need a website because they’re active on Facebook but so is every other business in the UK so standing out when people are technically there to socialise is hard work. You should have a website even if you have a Facebook presence. Over the last 12 months, it’s been getting harder for businesses to connect with users on social media, especially on Facebook. Within one week of the latest major Facebook algorithm change, organic reach for pages sunk much lower than it was already and across the board, people are now spending around 50 million hours less on Facebook than in 2017. While social media can be a good way of helping your business grow, it shouldn’t be your sole marketing channel, and definitely not in the future. The single, most common objection from small business owners regarding a company website. The bottom line is, your business website is your number one marketing tool or marketing asset and by claiming that you don’t have the budget for it you are basically giving in to your competitors and by not investing in this fantastic tool you really are risking your business future. GET YOUR WEBSITE SORTED it doesn’t need to be the most expensive and fancy website around, but it should exist, and search engines need to know about it. A website isn’t all about creating new customers. For example lets look at the restaurant or catering industry, around 80% of people search restaurants and cafes, opening hours and directions on a smartphone or a tablet, but this isn’t necessarily new customers as existing customers like to know what’s on the specials board or to view menu items while on the go or while waiting for the other half to get ready. Maybe a customer wants to order quickly and be on their way? A good website will allow you to answer simple questions quickly and this can also benefit you as it means you may spend less time on short phone calls. Terrible idea unless your brothers, aunties, cousin is a web designer. Too many times do we see websites started by someone with a basic knowledge of an online web builder and then the website is just left to rot while the guy’s wife is having a baby or while he’s decorating the house for a few months. It’s like asking a dentist to build you a house, you wouldn’t do it so why allow someone who doesn’t have any recognised skills in this field or industry to build your businesses face on the web. Do not be solely driven by price when it comes to creating a website for your business. If you genuinely have no budget for one still discuss your options with a web company and at least get yourself a basic website that you can grow in time. By ignoring your small business website you are letting your business down and allowing your competitors to potentially take work from you. A website can answer questions for you, provide your business with a great first impression but more importantly seel and acquire new customers 24/7 for your business. Previous Previous post: How is your Website and Web Presence?